With all the mustache items that I have going on at our Mustache Bash, I thought we needed a little bit of graduation poking it's head into the party. 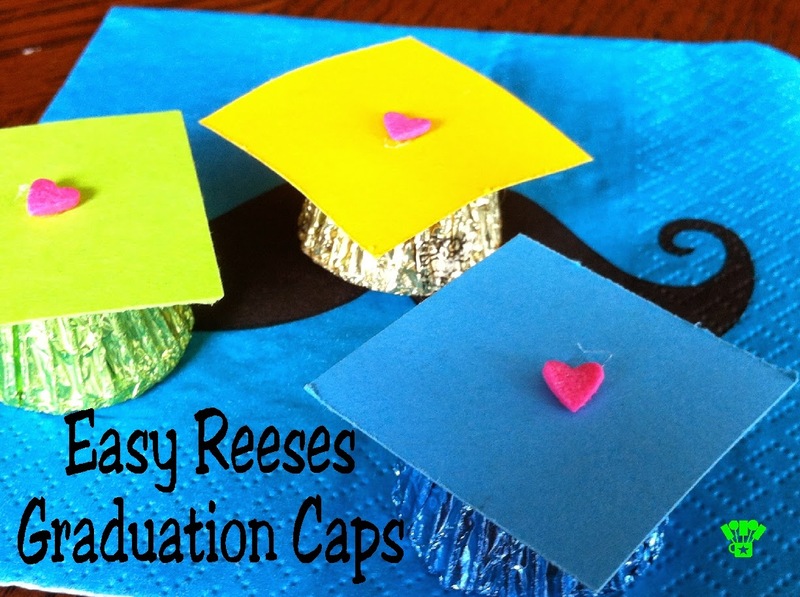 Plus, I really love Reese's peanut butter cups, and I couldn't find a way to turn them into mustaches, so instead we created these easy Reese's graduation caps. Since Drama Queen's party colors are blue and green, we collected all the Reese's minis on clearance after Easter. 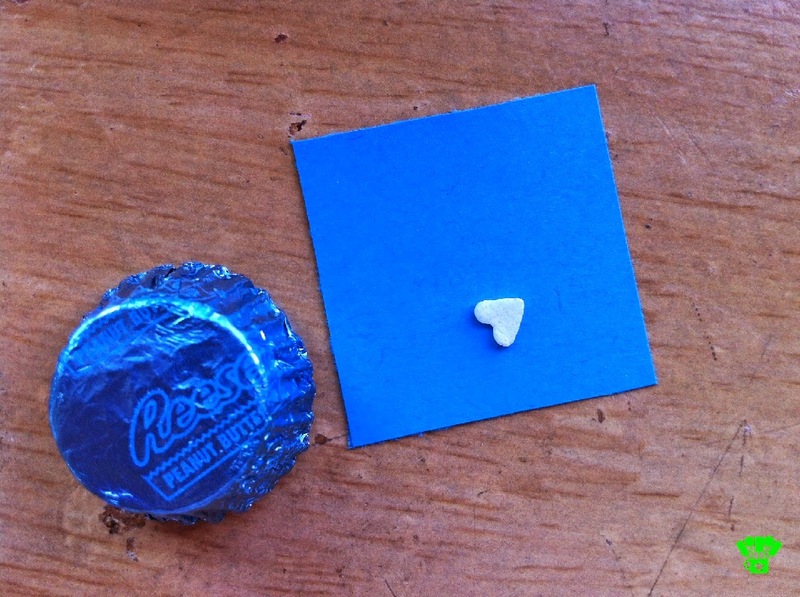 I really wish Hershey's would start making the different colors of Reese's and Hershey kisses in colors available all year long for parties and weddings, but when we went to the Snack and Candy Expo a few years ago and brought the idea up to them, they didn't take us up on the idea. Hello Hershey, still waiting!! I didn't want to make the all chocolate Reese's graduation caps that I've seen around since the party is outside and I didn't want a melted mess on my hands, so instead I used the Reese's mini for the base, some card stock for the mortar board, and Confetti Hearts Mulit Colored Sprinkles for some pizazz on the top of the hat. 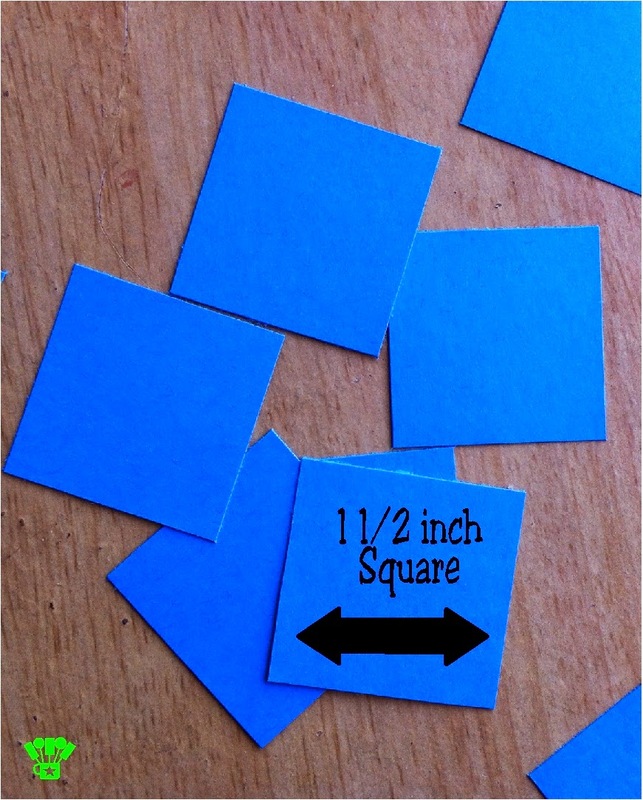 I used my Fiskars 12 Inch Portable Scrapbooking Trimmer to cut 1 1/2 inch squares out of blue, green, and gold card stock. Then I glued them all together to form graduation caps. I scattered the caps all over the table to bring in a little graduation to the stache bash in a fun and easy way.